" ALTERNATIVE" (n.) a possibility of choice, especially between two things. The latest exposition at Galerie Seine 51, Paris explores this theme with works by Mathieu Ducournau's thread on canvas (shown above) paintings by Sergey Nielsen and drawings by Juan Francisco Casa. 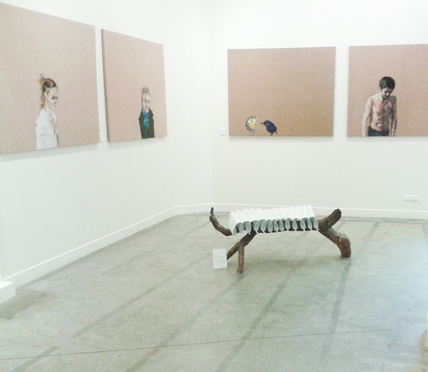 Also featuring Bench no3 by Floris Wubben and le Semainier by Ru Editions. Till April 21, 2012. 51 rue de Seine, Paris.